have mercy on [us] sinners. 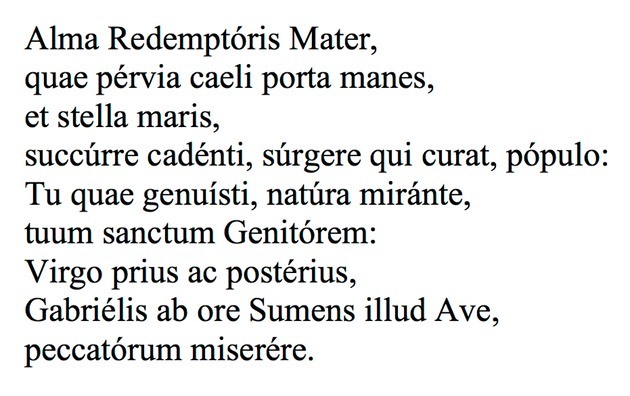 Note: There are various published versions of the Alma Redemptoris Mater (Solemn Tone). To obtain the music with updated notation, please purchase the current Antiphonale Monasticum I (Abbaye Saint-Pierre de Solesmes, 2005) at solesmes.com . An earlier version may be found in the Antiphonale Monasticum (Abbaye Saint-Pierre de Solesmes, 1934), but music varies.